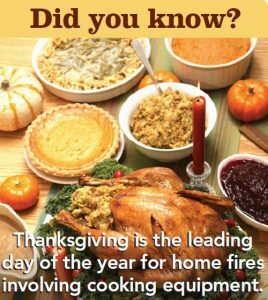 Turkey Safety Tips | A&D Fire Sprinklers, Inc.
With the holidays quickly approaching, we wanted to highlight some safety tips that will keep you and your turkey burnt free. Thanksgiving is a time for food, fun, and family, which means a lot of activity around hot objects, that could lead to injury if you’re not careful. So keeping fire safety in mind in the kitchen during this joyous but hectic time is important. Preparing a large meal takes planning and preparation, from trying out new recipes, to being more daring this year and deciding to fry the turkey. As you start preparing your holiday schedule and organizing that large family feast, remember, by following a few simple safety tips you can enjoy time with your loved ones and keep yourself and your family safer from a fire. Click on the below link to see how frying a turkey can turn dangerous fast.